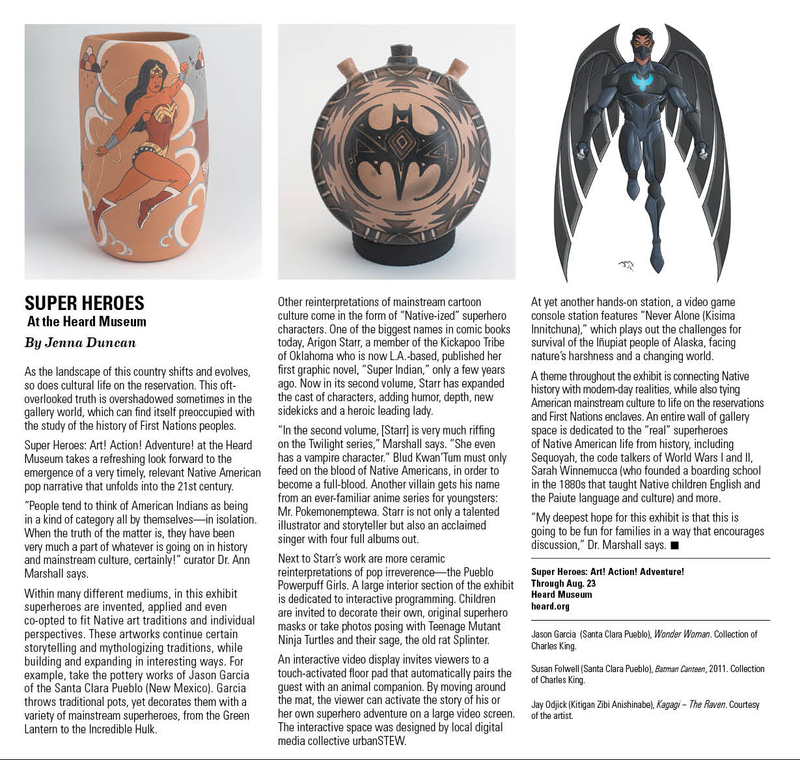 Great reviews keep coming in for “Super Indian” and the Heard Museum exhibit “Super Heroes: Art! Action! Adventure!” now open through August 23rd. You can read the full magazine online here. For your viewing pleasure, here’s the page you need to see!